The makers behind the movie ‘Namaste England’ have released another song titled ‘Tu Meri Main Tera’ ahead of the release of the flick. After the soothing ‘Tere Liye’, party tracks such as ‘Bhare Bazaar and ‘Proper Patola’, and Bhangra number ‘Dhoom Dhadaka’, the makers have released the heart warming, Tu Meri Main Tera. The heartfelt song has been sung by no other than Rahat Fateh Ali Khan, who is sure to capture audience’s attention with his melodious vocals. The music video follows Param’s (Arjun Kapoor) journey as he follows Jasmeet (Parineeti Chopra_ to London where she has gone to fufil her dreams. As we see Param smuggling to England, we see him crossing many mental and physical hurdles until he finally reaches his destination. 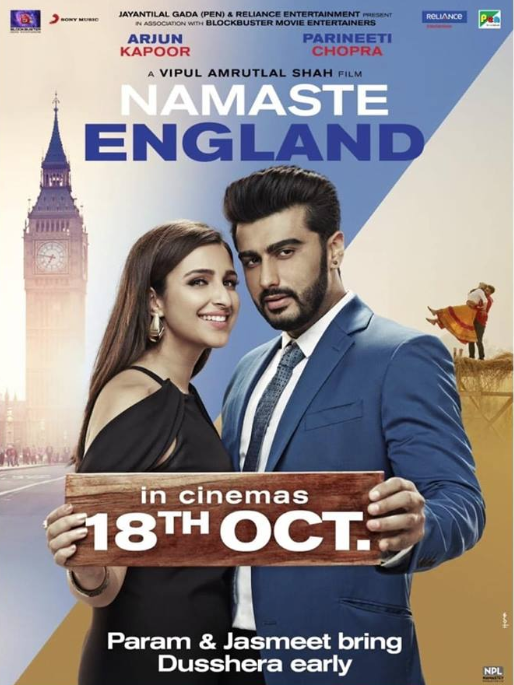 ‘Namaste England’ shows Parineeti and Arjun’s strong chemistry doing justice to this more intense romantic comedy. It’s emotional, fun, comical, and romantic – ‘Namaste England’ is definitely one to watch! It’s set to release on October 18th.